Richard Dean Starr began writing professionally at the age of seventeen for a Los Angeles trade newspaper. He is a former member of the Science Fiction and Fantasy Writers of America and the Georgia Press Association. His work has appeared in Starlog, Science Fiction Chronicle, and numerous other magazines and newspapers. In addition to his magazine work, he was a Reporter and Entertainment Editor for the former Southeast Georgian and Camden County Tribune newspapers (now called the Tribune-Georgian), both before the age of twenty-one. In 2004, his story “Unfinished Business” appeared in Hellboy: Odder Jobs, edited by New York Times best-selling author Christopher Golden. In addition, he has written “The Shadow That Shapes the Light” for Kolchak: The Night Stalker Chronichles (a Bram Stoker nominee for Best Anthology of the Year), and “Bones of the Past” for The Kolchak Casebook, both published by Moonstone Books. In October, 2005, his story “Fear Itself” was published in the special Stephen King Halloween issue of Cemetery Dance magazine. In addition to his ongoing work in short fiction he is also at work on The Dean Koontz Encyclopedia, a comprehensive reference guide to the number-one New York Times best-selling author, as well as other book-length non-fiction projects and two novels. In 2006, he returned to Los Angeles to pursue a career as a filmmaker, but continues to write professionally as well as consult to business as a noted copywriter and marketing expert. He is also the owner of eRead.com, soon to be an independent ebook store. 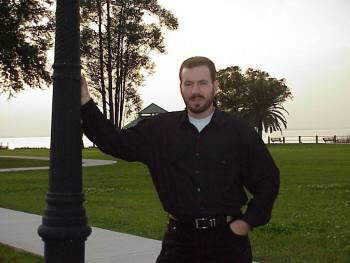 You can find all Gothic.net articles and fiction relating to Richard Dean Starr at tag Richard Dean Starr. Posted by Gothic.net on Tuesday, February 8th, 2011. Filed under Who's Who. You can follow any responses to this entry through the RSS 2.0. You can skip to the end and leave a response. Pinging is currently not allowed.